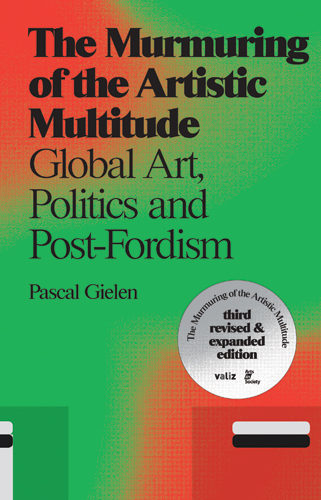 In this third edition of The Murmuring of the Artistic Multitude, art sociologist Pascal Gielen’s hypothesis that the globalized art scene is an ideal production entity for economic exploitation is updated with the author’s latest insights into the political dimensions of art, autonomy and the relationship between art, ethics and democracy. In the glow of creative cities and creative industry, governments embrace the post-Henry Ford work model and link it to the neoliberal market economy. How can the art world preserve its own dynamic and freedom? The Murmuring of the Artistic Multitude attempts to provide alternatives to the current model of economic exploitation, exploring places of intimacy and “slowability” in the hectic global flow of artistic events and artistically minded trends.